I think we have all read so many articles on how to live a longer healthier life, not to mention the anti-aging products flooding the market. Are there really ways to extent your earthly life? Sure, increasing exercise and eating more veggies certainly help. But in a recent article based on the book, “Barking Up The Wrong Tree,” by Eric Barker, I found a “spiritual purpose” that jumped out at me. He explains that if you ask yourself, “Why do I wake up in the morning?” If it’s a good reason, you will probably have a lot more mornings ahead of you.The research reported that those individuals who expressed a clear goal in life – something to get up for in the morning, something that made a difference – lived longer and were sharper mentally than those who did not. Your purpose doesn’t have to be to save the world. It can be as simple as meaningful work or a hobby that you enjoy or just biding time until all the grandchildren walk down the aisle! Oscar Wilde wrote that the two most important days in your life are the day you were born, and the day you realized “why”. We were not born into this world with instructions. We come here blind with respect to our mission, gifts and challenges. It’s up to us to stumble along determining our true purpose. Most of the time we discover our purpose using hindsight analyzing how our life is unfolding. We may discern a certain pattern of behavior or the same type of problem/success that we are facing. Maybe instead of bemoaning, “Why is this happening to ME?” We might take the opportunity to reflect on, “WHY is this happening to me?” What are the lessons here for me? How does this fit into my life and affect my well-being? All the factors in your life are like a kaleidoscope. 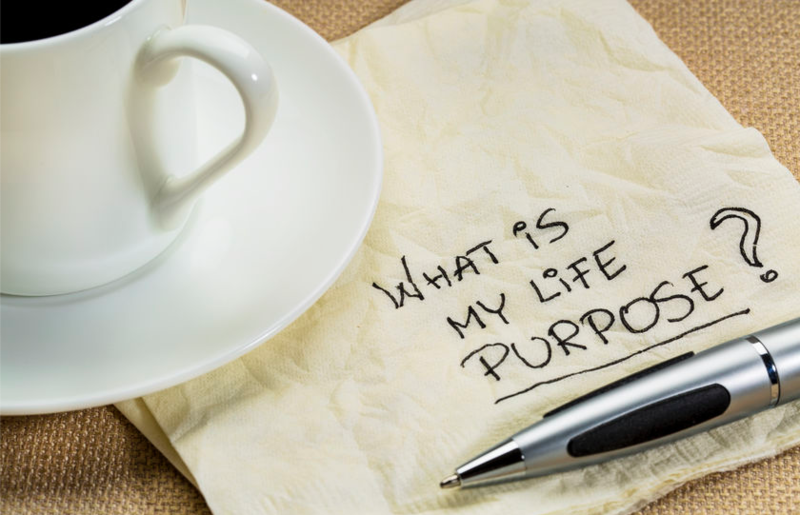 Keep turning the “focus” lens and you will probably see a theme – your life’s purpose. Adjust your vision daily committing to your purpose and enjoy a long fulfilled life.